Lewis Carl awed, inspired and had our heads spinning with color as he presented a program on "Color Theory" this month. We learned that color is "tricky", "deceitful", and "personal". The good news is that there are no wrong colors! 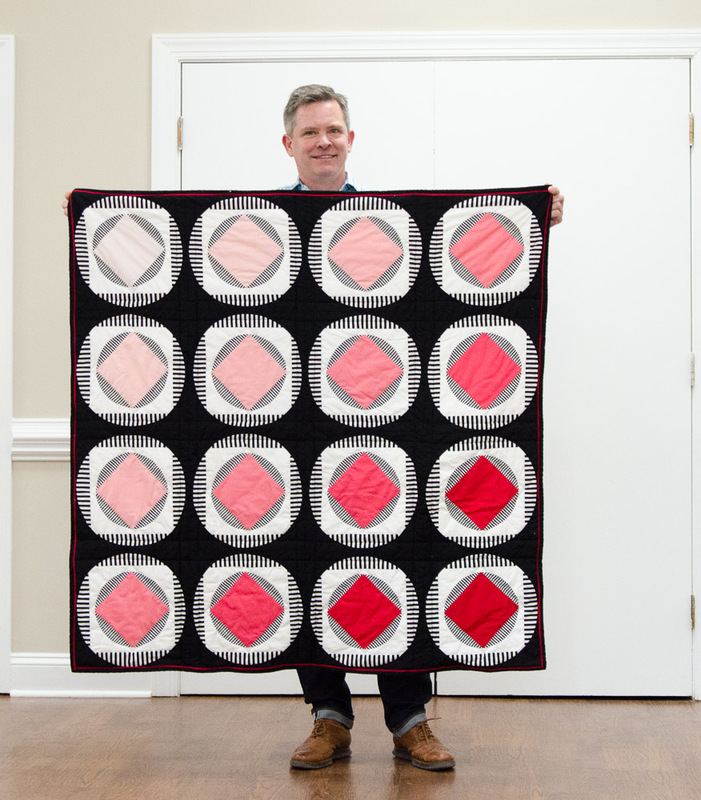 Lewis shared many examples of quilts that illustrated his concepts and also included some resources for creating color schemes or palettes. We welcomed 45 members, 2 new members and 3 guests to our meeting this month for a total of 50 in attendance. Membership cards and pins are now available! 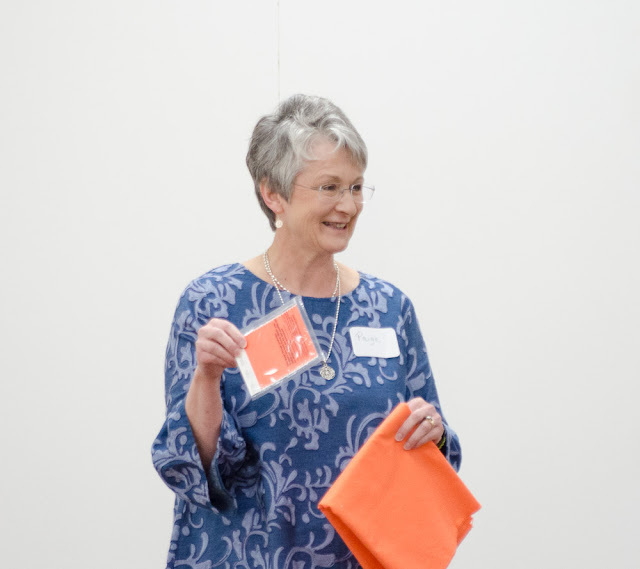 Be sure to pick up your 2019 Membership Directory. Sew-In day is May 10th, from 10 - 4 at Bernina, We're In Stitches. 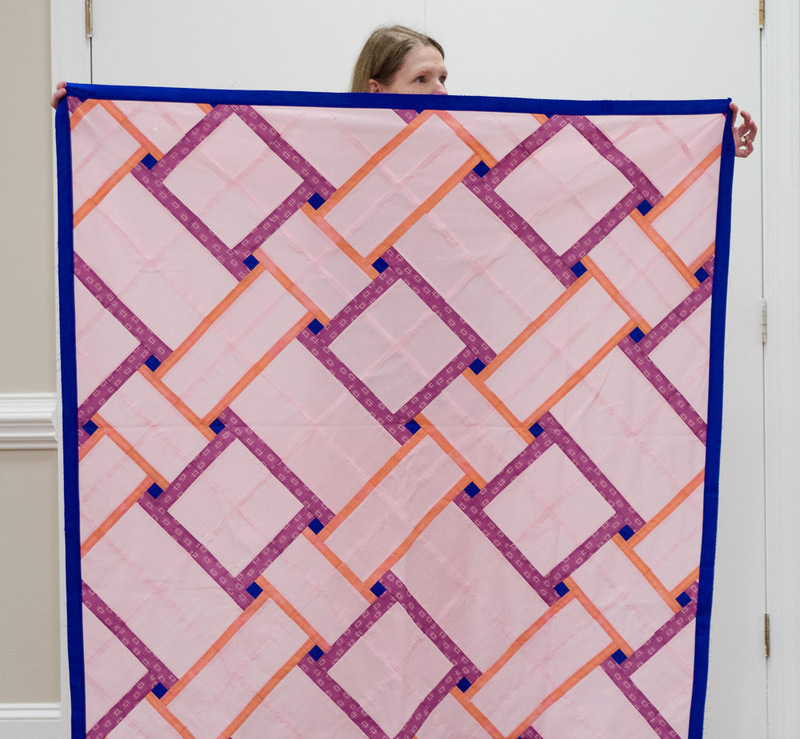 We ask that you purchase a half yard of fabric to be raffled off to one lucky participant. Bring anything you'd like to work on. 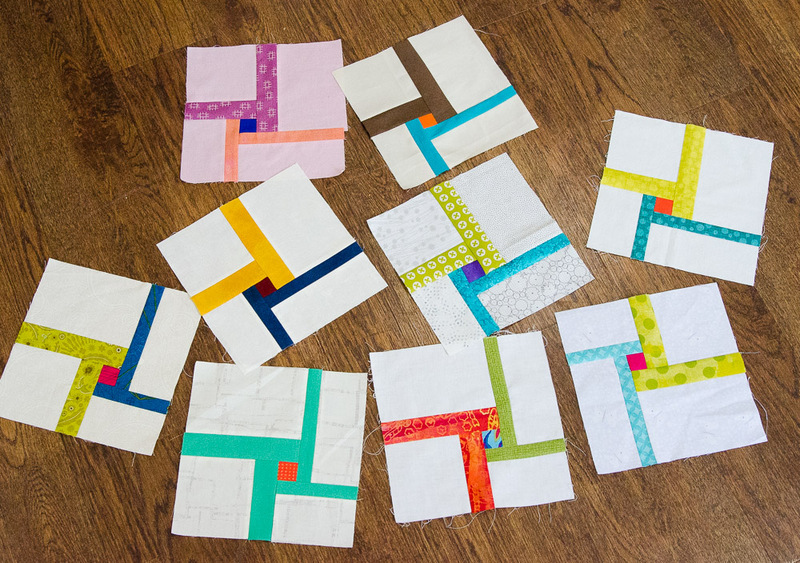 We will also be piecing curved blocks for charity quilts, if you choose. Our Charity Quilt is back from Quiltcon and we are ready to donate it to a children's charity. 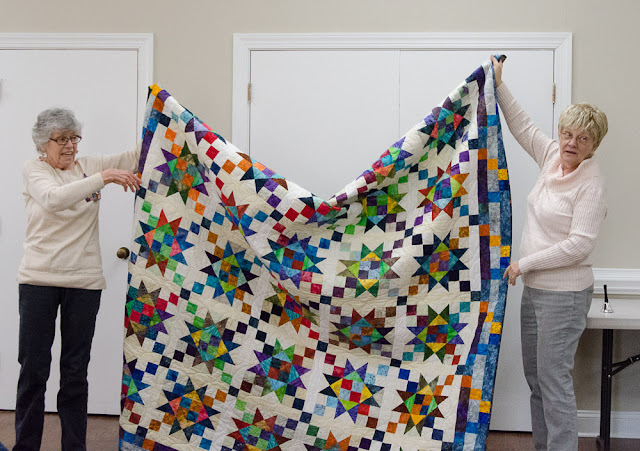 If you have a suggestion, please email Cindy Lammon (cindy at hyacinthquiltdesigns dot com) and Elise Dunbar (elisedunbar at gmail dot com) with information about the charity you're recommending. We will accept suggestions until Saturday, April 13. The Executive Board will review the suggestions and make a final decision. The Spring retreat is this month! There is currently one spot available for a female to join us. Please email Sandy (shelsel65 at gmail dot com) if you're interested in going. There are a few spots left in the Photography and English Paper Piecing workshops with Kitty Wilkin. Contact Cheryl Brickey (cheryljbrickey at gmail dot com) if you would like to sign up. Next month's block is Parking Lot. Look at all the great City Block blocks shown this month! Did you know our BOM designer, Travis, has quilt ideas for using each block of the month? Find them on his website home page here. 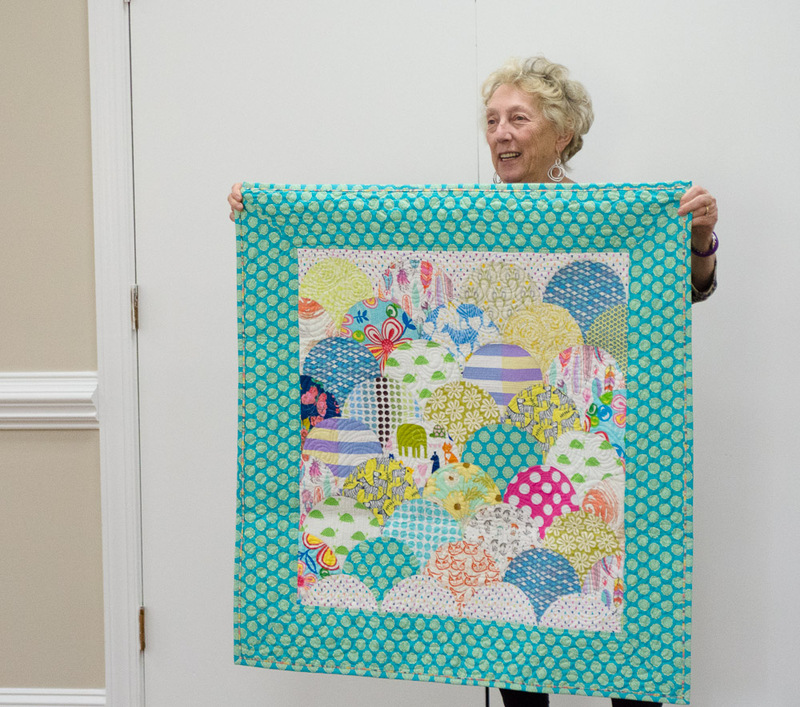 The topic for our program in May is "Choosing Fabric for your Quilt". Do you have any "fabric choosing" dilemmas? Email Cindy (cindy at hyacinthquiltdesigns dot com) or Faye (birdie1345 at aol dot com) with your questions and we will try to incorporate them into the lecture. Please bring a bag containing 20-25, 5" squares of modern fabric from your scrap bin. We'll use these as part of a group activity during the program. We collected 10 charity quilts for our "Quilts for Kids" program. 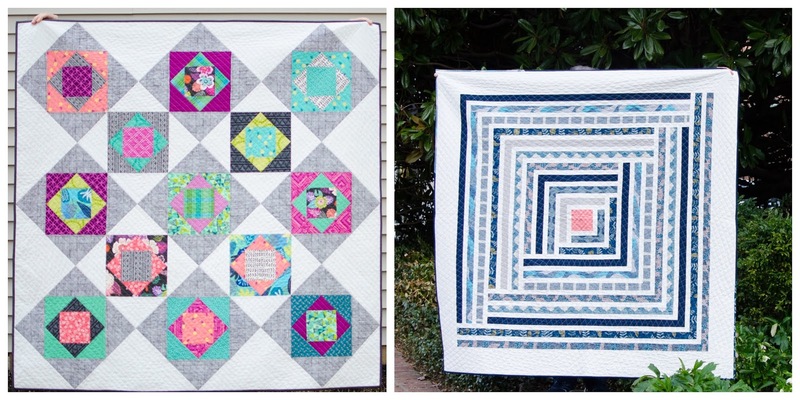 Blocks for the NC Hurricane quilt drive have been started. Please contact Faye (birdie1345 at aol dot com) if you would like to participate. The rules for this year's MQG Challenge have been announced and can be found here. 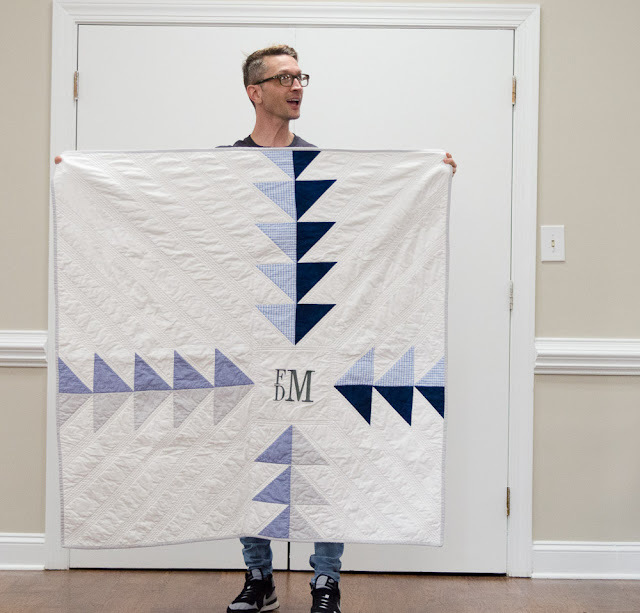 If you were unable to get the fabric from the MQG, you may purchase it from your local shop or online retailer. The deadline is May 31, 2019. Upcoming Classes and Workshops: Visit our Events and Shows Page for details of the following upcoming local events! 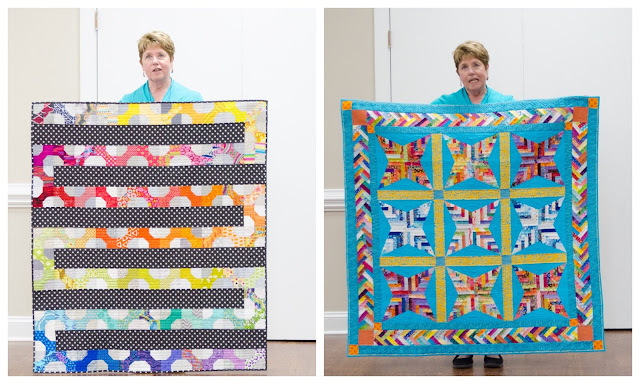 Mitzi Schafer will be teaching "Quilt Yoga", a free motion quilting workshop, at Busy Bees in Fountain Inn on May 7th. 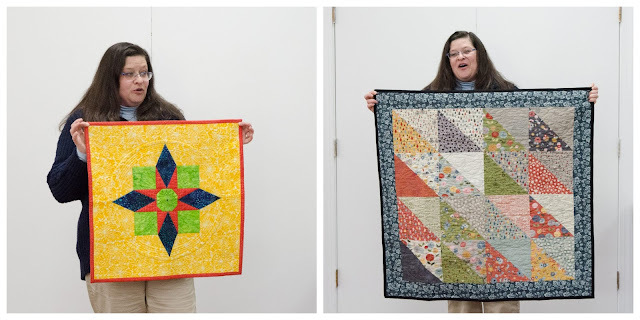 The Shady Ladies Quilt Show and the Western NC Quilters Guild Show are both in May. Sign in to your library account. Put "Creativebug" into the search box and search "site". 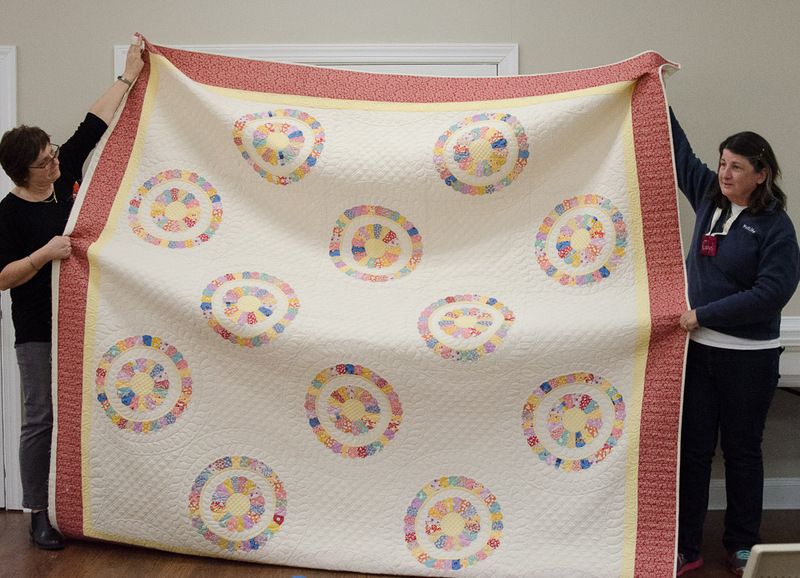 Nicole McClelland is the District 1 Representative for the Quilters of South Carolina. 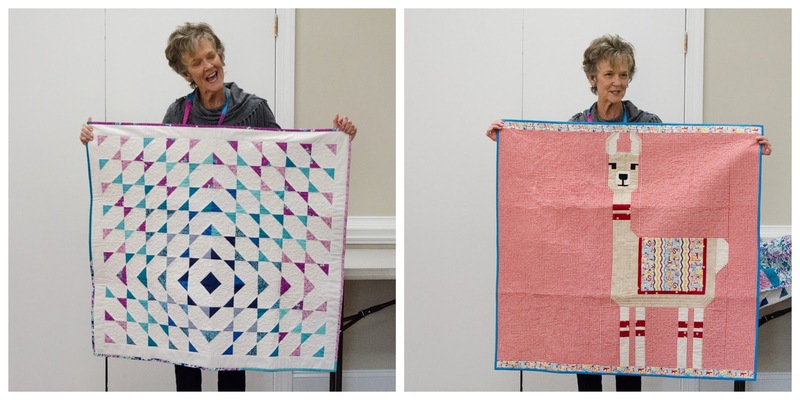 She shared all the fun activities offered by the organization, including a Sew-In, Quilt Show and Retreat. Be sure to visit the Quilters of SC website for all the information. 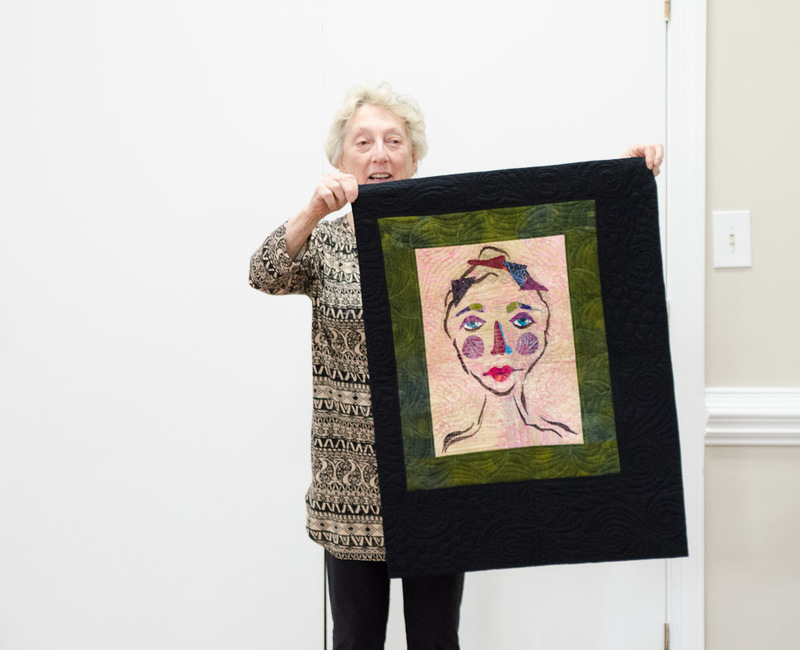 The Professional Arts Quilters Alliance has posted pictures of all the quilts in the show on their website here. 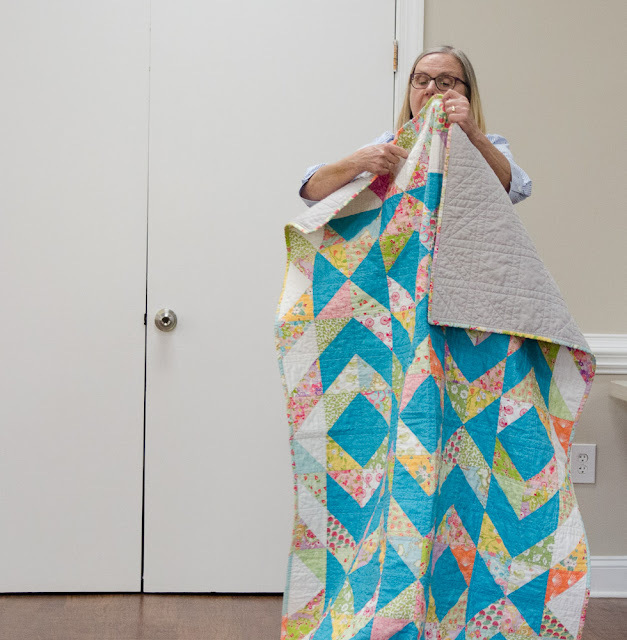 Our own, Lynne Harrill has a quilt in the show. Show details are listed on our Events Page. This year's challenge was announced at the April meeting! Find all the rules and details here. Challenge quilts are due at the August meeting. We can't wait to see your creations! It was fun to see so many Show and Shares this month! Our next meeting will be Saturday, May 4th from 1 - 3 pm at St. Giles Church, 1021 Hudson Rd., Greenville, SC. We are excited to announce our 2019 mini quilt challenge! This year we are doing the crayon challenge. 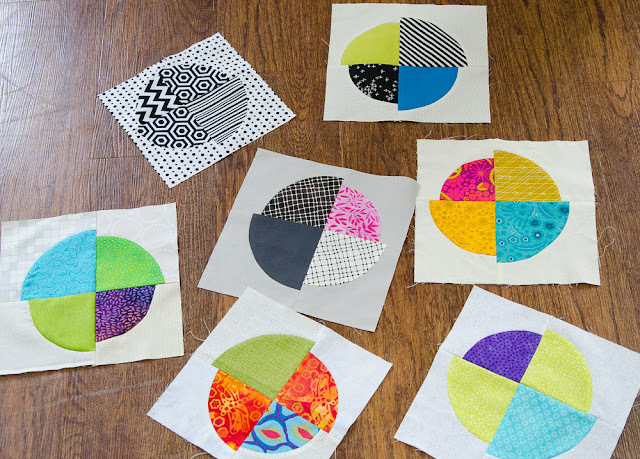 Participants will blindly choose 3 crayons from our crayon bag and make a modern mini quilt incorporating all 3 colors and using negative space as a design element. You may add as many additional colors as you like, as long as your chosen crayon colors are featured predominately, including the binding. 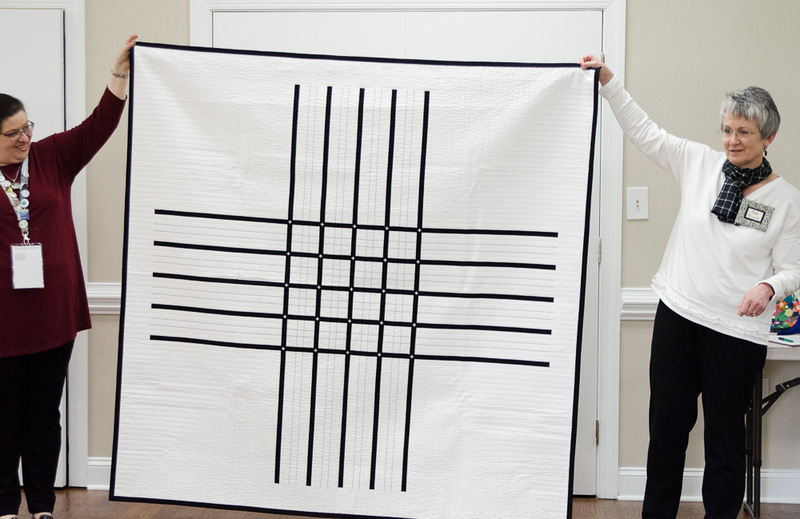 The size of the quilt should not exceed 36" on any side. (With this guideline, your quilt will be eligible to be entered into the small quilt category at QuiltCon). All 3 crayon colors must be used and should be the predominant colors of your mini quilt. We encourage original design, but you may use a pattern (please give credit to the pattern designer). 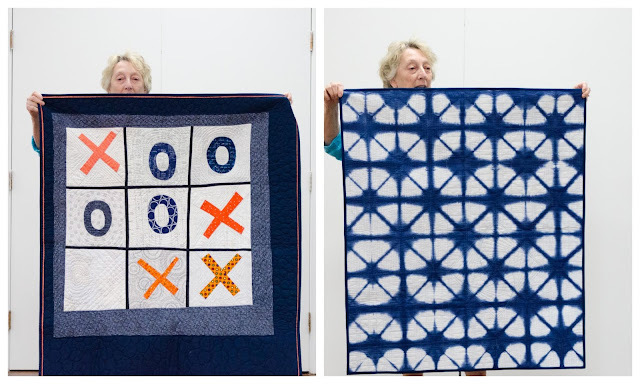 Your challenge quilt is due at the August 3rd meeting. Prizes will be awarded! 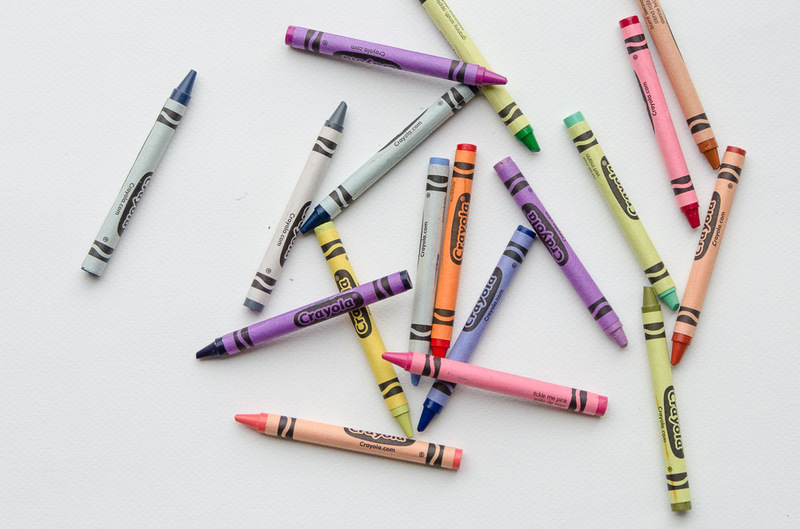 We will have the crayons for you to choose from at the May, June and July meetings. You may also email Valorie at spydeeland at aol dot com to request 3 crayon colors. Please include "GMQG Crayon Request" in the subject line. 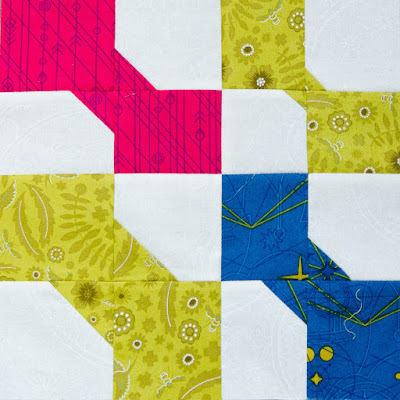 We all know that color plays a major role in quilt design. 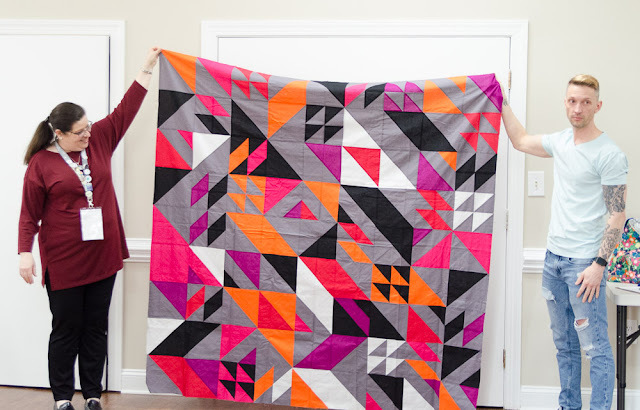 One might even say that many of us quilt because we love to play with color so much! Plus it goes without saying, that we could all use some advice on mixing colors and the visual effects of specific color combinations. 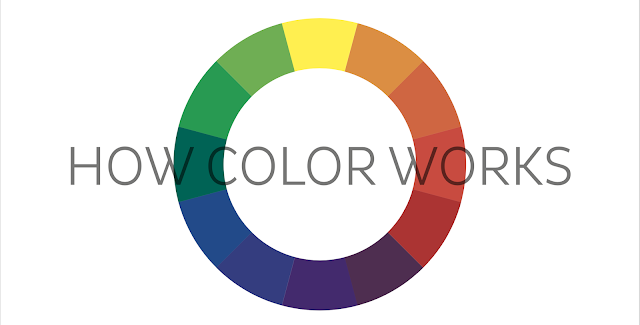 This month's special guest, Lewis Carl, will speak on color from a theoretical point of view. 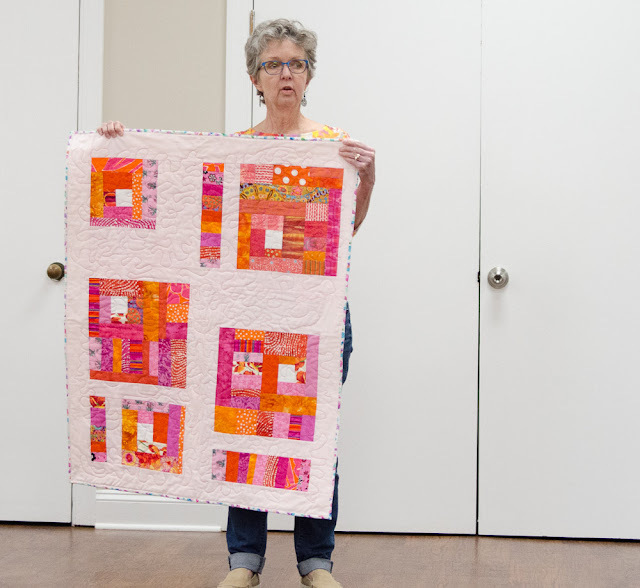 Hope you can join us and expand your knowledge of this important topic in modern quilting! Please note: Lewis will be speaking at the start of our meeting at 1 pm. Lewis Carl currently serves as an assistant professor in the Division of Art + Design of the School of Fine Arts and Communication at Bob Jones University. He teaches the Foundations courses which include design and color theory, as well as the Fashion Illustration course. Lewis earned a BS in Graphic Design (1997) and an MA in Art-Studio Performance (1999), both from BJU. For 13 years, he served as a freelance artist and designer while also mentoring and teaching Bible within the surrounding communities of Venice, Italy. Lewis’ mixed media compositions fuse color, texture & shape, reflecting influences in his unlikely journeys—from living in the heart of the old textile capital of the southern US, traveling Europe and moving to Venice, Italy, and then returning back to Greenville again. 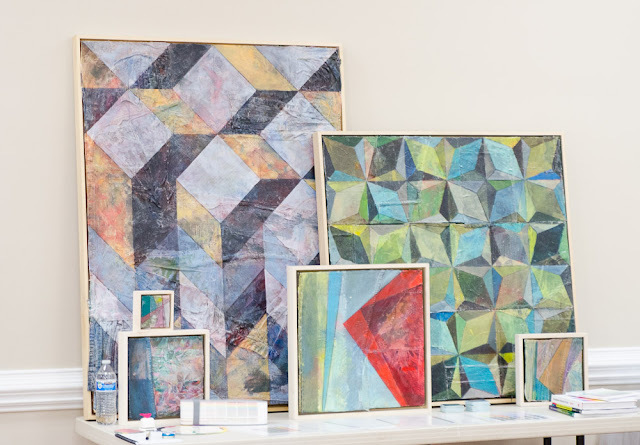 As he works, Lewis combines pieces of his used clothing, graphite, ink and paint to create abstract expressionist designs, reflecting the geometric tiles of the old world, while also paying homage to the textile patterns of the south. We will also be announcing the 2019 Guild Challenge this month! Please return any library books. 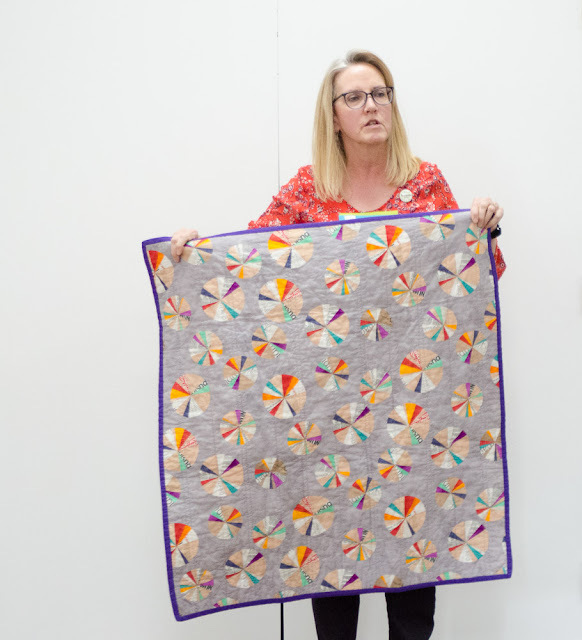 Workshops with Kitty Wilkin are May 31 - June 1. The Spring Retreat is April 25-28. Bring any items you no longer need to our Free to a Good Home Sharing Table. As always, we love seeing your modern projects during Show and Share. This month's program is a great opportunity to learn from an expert! Guests are always welcome at our meetings. Why not bring a friend! Hope to see you Saturday, April 6th, from 1-3 pm at St. Giles Church, 1021 Hudson Rd., Greenville, SC. 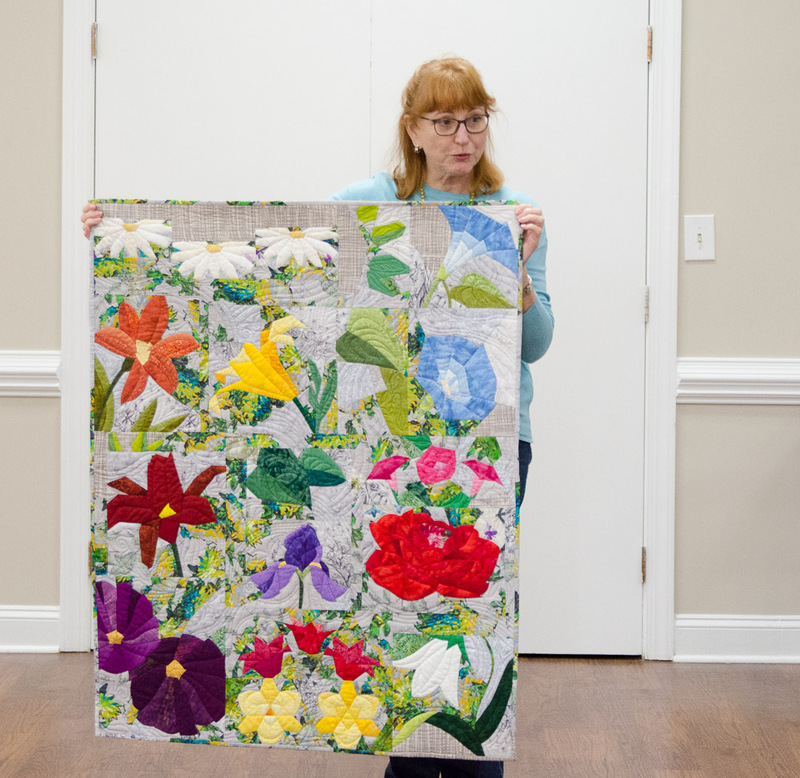 The focus of this month's program was finishing the edges of your quilt. We learned how to bind odd angles and curves from Cindy Lammon. Maybe you've considered skipping binding all together and finishing your quilt with a facing. 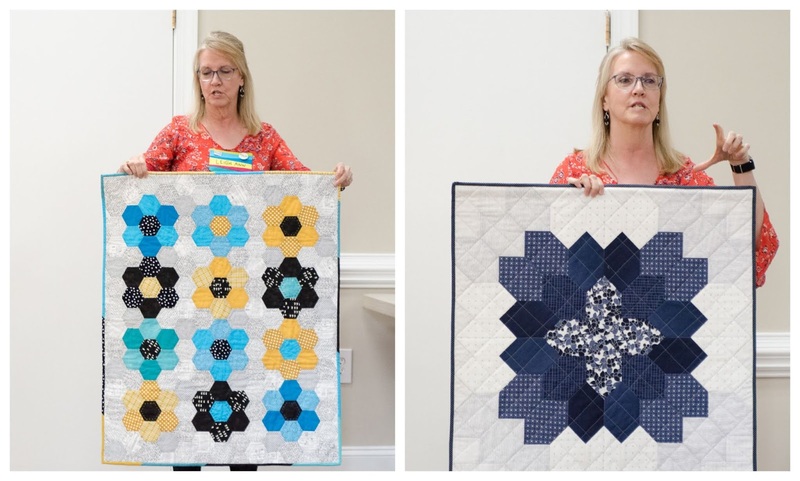 Paige Alexander showed us step-by-step exactly how it's done and provided the following link for further reference: Face It!. 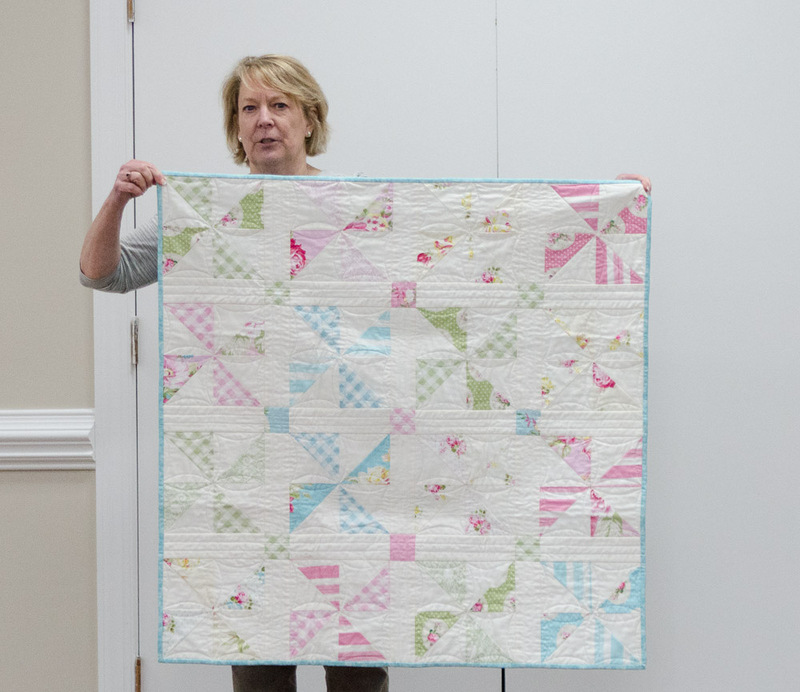 Faye Jones added her unique spin on the binding with a flange inserted between the quilt and the binding. Thanks ladies for sharing all this great information. 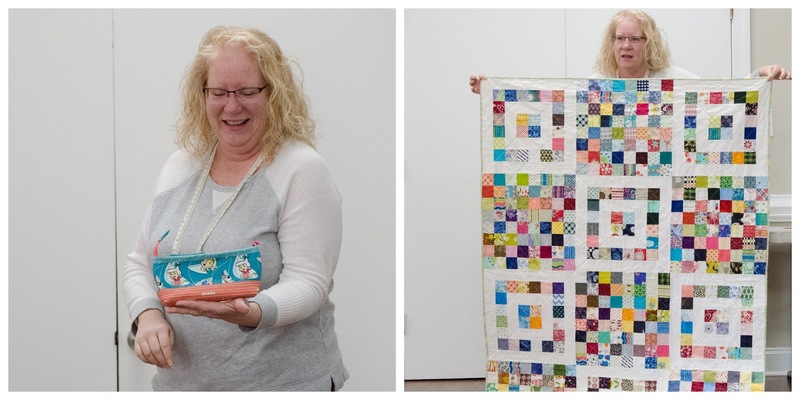 We can't wait to see how our members finish off their next quilts! 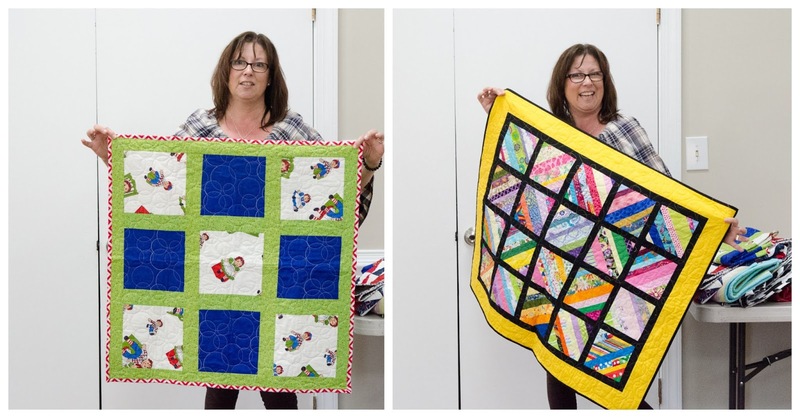 We're so happy to see our guild continue to grow as we welcomed 2 new members and 2 guests to our meeting this month. With 49 members present, we had a total of 53. 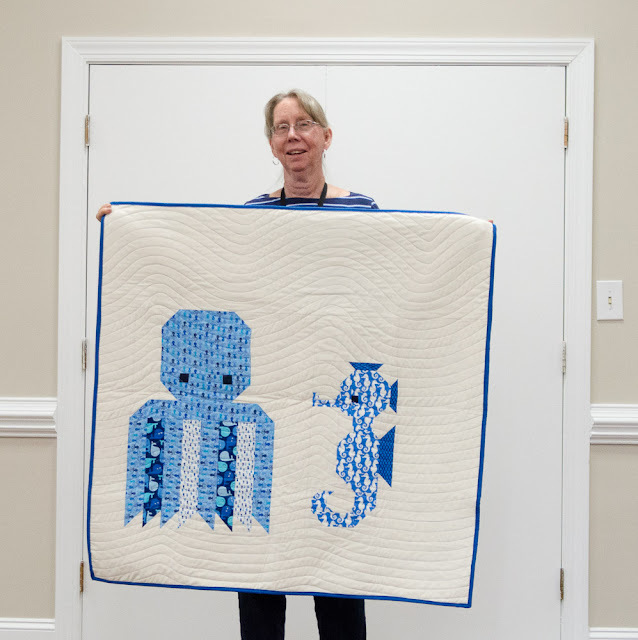 2019 MQG Membership Cards have not arrived yet, but if you need one, you can print one at home from The Modern Quilt Guild Website. Be sure to pick up a Greenville MQG button! The next Sew-In Day is Friday, March 15th from 10 am to 4 pm at the Bernina Store on East North Street, Greenville. 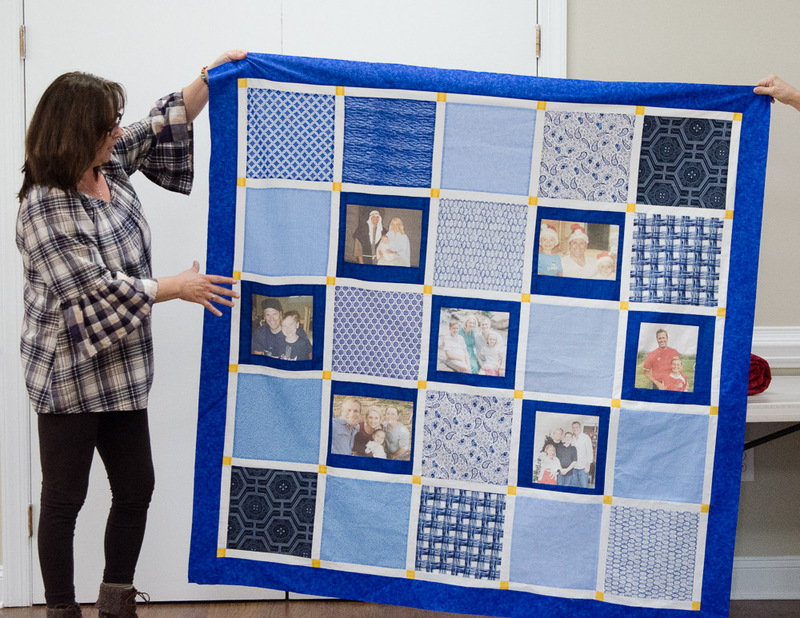 Please purchase a half yard of fabric at the store, to be raffled off to one lucky participant. Bring whatever you'd like to work on. We'll also continue working on gentle curved blocks for charity (optional). Congratulations to all of our guild QuiltCon participants this year! 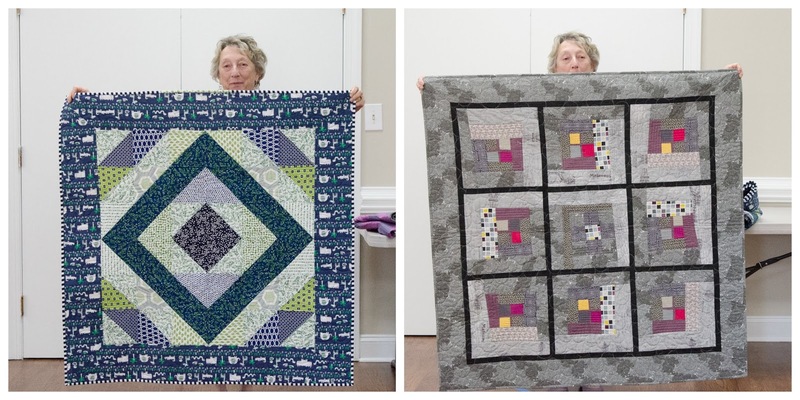 Quilt of the Month Section: Cheryl Brickey, Mitzi Schafer, and Paige Alexander. 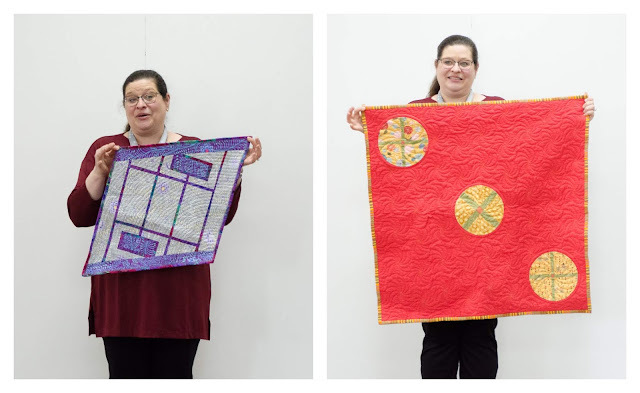 Quilts juried into QuiltCon: Cheryl Brickey, Christopher Brickey (Junior Member), Paige Alexander, and Cynthia Steward. 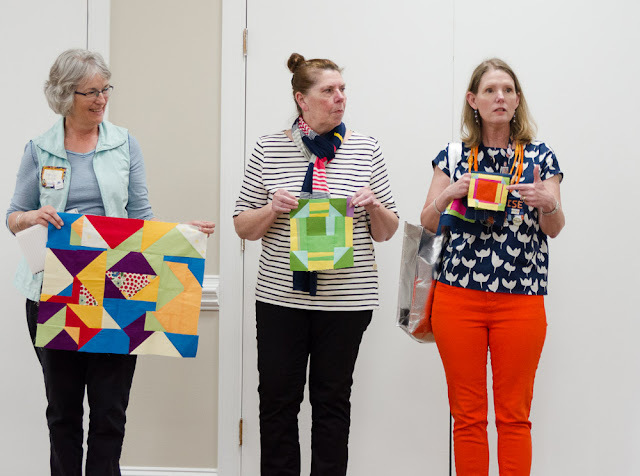 Award Winners: Cynthia Steward, first place Michael Miller Challenge; Paige Alexander, second place Michael Miller Challenge; Paige Alexander, first place Two Color Challenge. Many of our members attended QuiltCon this year and, in a short discussion, it was fun to hear what they loved, learned or were inspired by. See the award winning quilts on the QuiltCon website. QuiltCon 2020 is in Austin, Texas and QuiltCon 2021 is in Atlanta, Georgia. There are currently 2 openings, one male and one female, for the Spring Retreat. These openings are also available for members' guests. Attendees have been sent an email regarding what to bring. Further instructions will be coming from instructors and demonstrators. The next block is City Block. There are still a few openings in the workshops with Kitty Wilkin, scheduled for May 31st and June 1st. The cost for members is $30 and the workshops are currently open to non-members at a cost of $35. In April, our guest speaker will be Lewis Carl, who serves as an assistant professor in the Division of Art + Design of the School of Fine Arts and Communication at Bob Jones University. Lewis will speak on Color Theory. 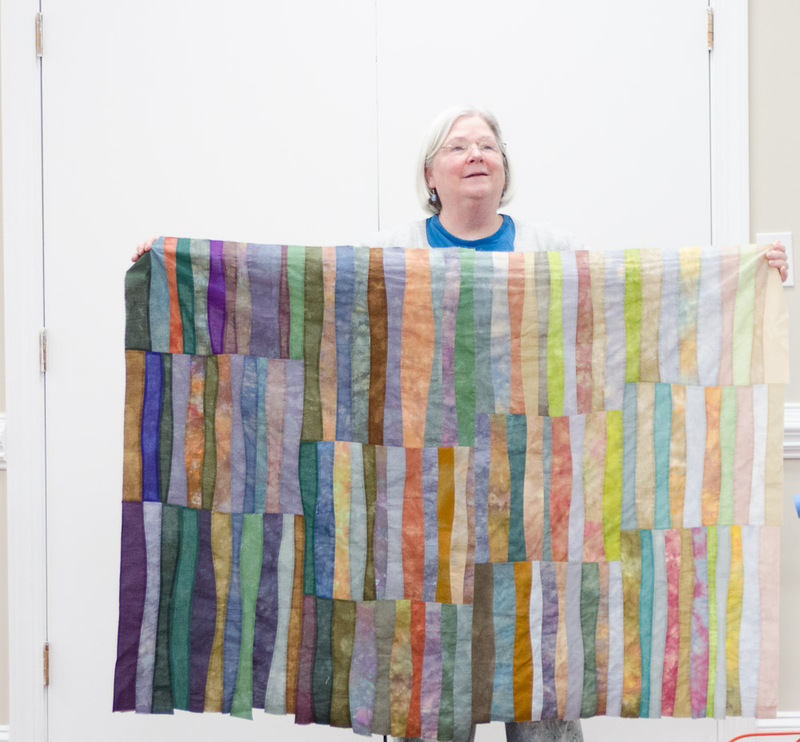 Our May program will be a discussion and hands-on practice in choosing fabrics for a quilt. We collected 3 charity quilts this month for our Quilts for Kids Program! Faye Jones has formed a Bee to work on a group quilt for the NC Hurricane Relief effort. She would like to start making blocks on our Sew-In Day, March 15th (see above for details). 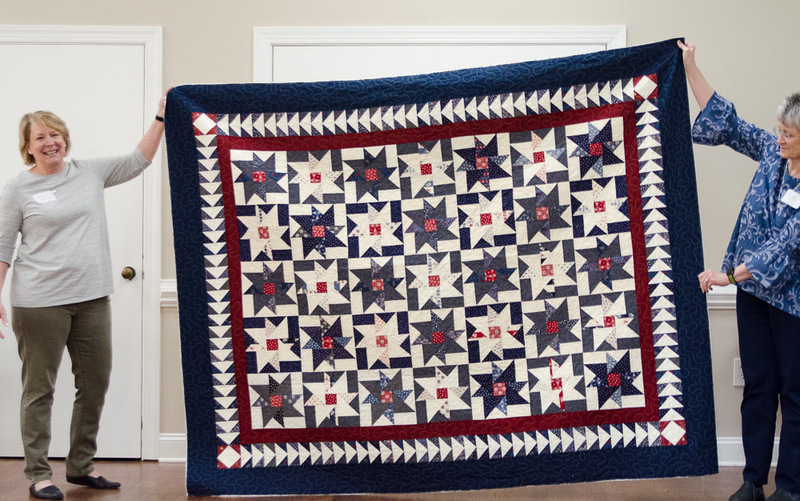 She asks those who would like to participate to print the free pattern, Tribute Star Quilt by Rebecca Bryan. Bring "beachy" colors such as aqua, blue, watery green, etc. Raid your scraps and stash for prints or solids. Contact Faye at birdie1345 at aol dot com for questions or suggestions. Faye suggested the website Quilt Inspiration as a resource for free quilt patterns on the web. We have several new books in our library! Our next meeting will be Saturday, April 6th, from 1-3 pm. at: St. Giles Church, 1021 Hudson Rd., Greenville, SC. 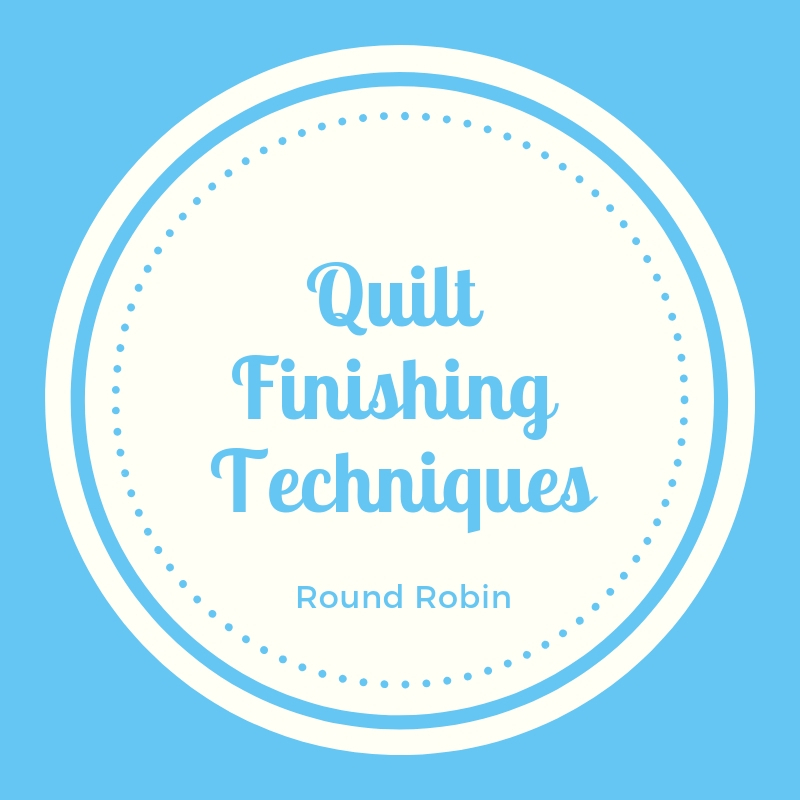 This month, we'll be improving our quilting skills in one of our favorite learning formats, the Round Robin. 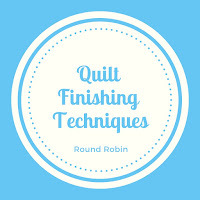 Our focus will be on finishing your quilt (don't we all love to do that?!) with binding and facing techniques that are a bit out of the ordinary. Everyone will have a chance to visit each "station" for demonstrations on specialty bindings such as machine binding, facings, odd angles and curves. Please join us for these small group demos. 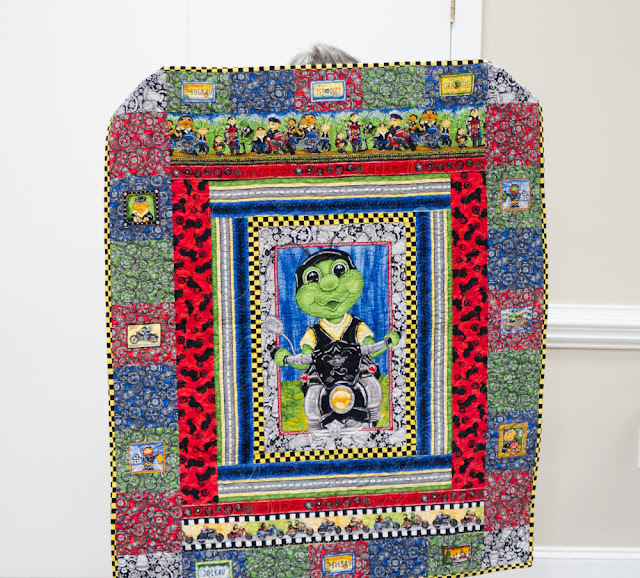 Do you have any sewing items that you no longer want or need? Find them a new home by contributing to our "Free To A Good Home" sharing table. 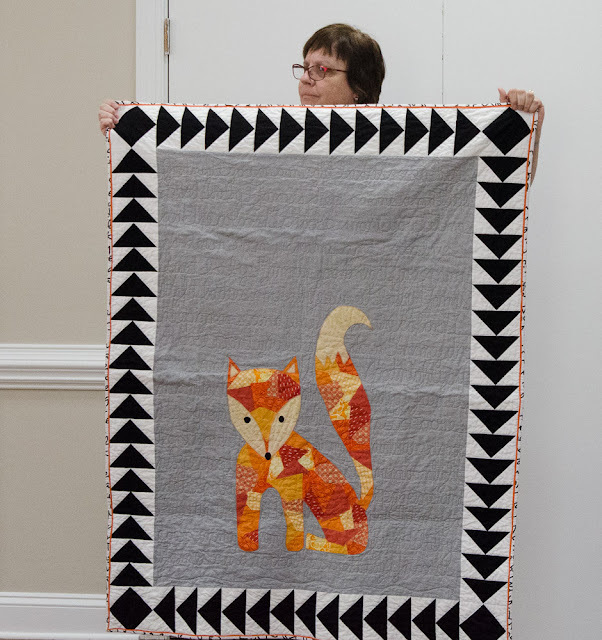 You can still sign up for the Kitty Wilkin workshops this Spring. 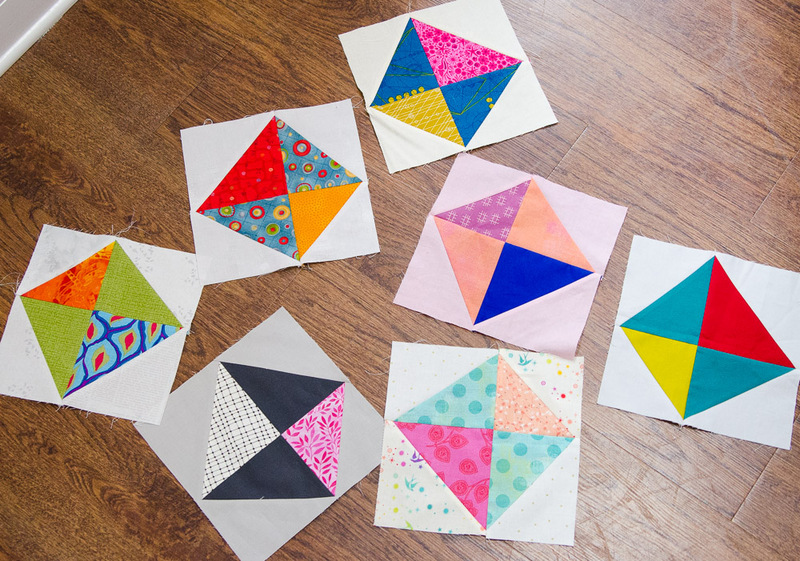 The Tiny Piecing Workshop is full, but we have started a waiting list. The remaining 2 workshops still have a few openings. Cost is $30, cash or check. There is one opening left for the Spring retreat, April 25-28th. Cost is $235, cash or check. 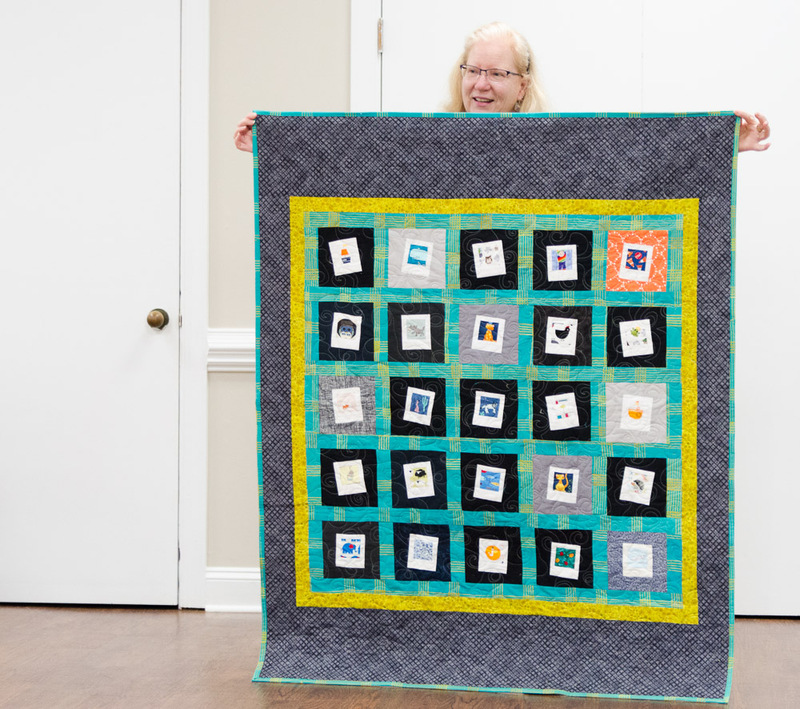 This month's Block of the Month is Round About. Please return any library books that you have checked out. Be sure to pick up your free Greenville MQG button at this month's meeting, if you didn't get one at QuiltCon. As always, we're excited to see your Show and Shares! Hope you can make our meeting this month and learn a new skill! Join us on Saturday, March 2nd, from 1-3 pm at St. Giles Church, 1021 Hudson Rd., Greenville, SC. The use of expansive negative space is a defining element in modern quilt design. 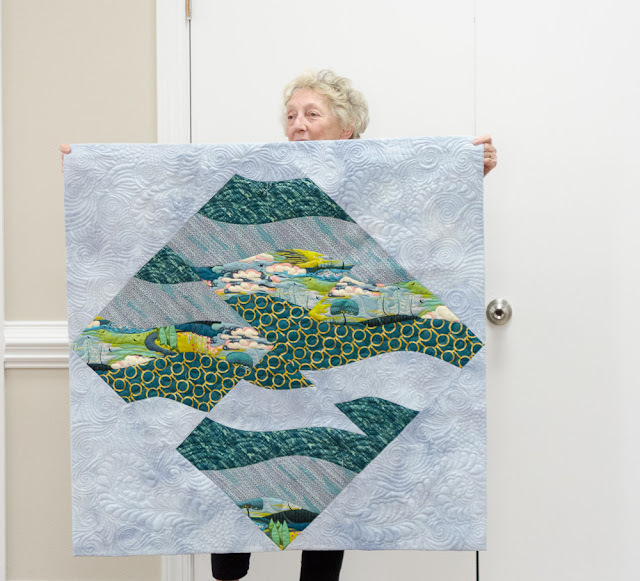 In this month's program, Valorie Kasten gave us an in-depth look at the use of negative space. 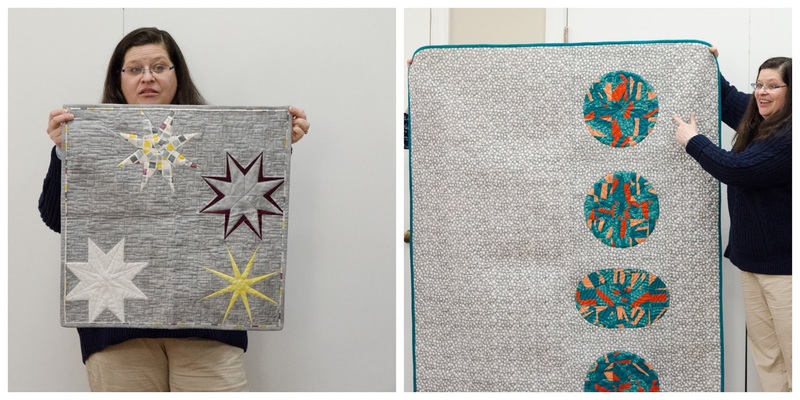 We learned that creating 1/3 or more negative space on the quilt is considered modern design. She also discussed how to create negative space and some ideas on how to quilt it. We welcomed 39 members, 3 new members and 5 guests to our meeting this month for a total of 47 present. The next Sew-In Days are Friday, March 15th and Friday, May 10th from 10-4. The Sew-Ins are held at Bernina, We're In Stitches. We ask that you purchase 1/2 yard of fabric from the store. There will be a drawing at the end of the day for one lucky winner. 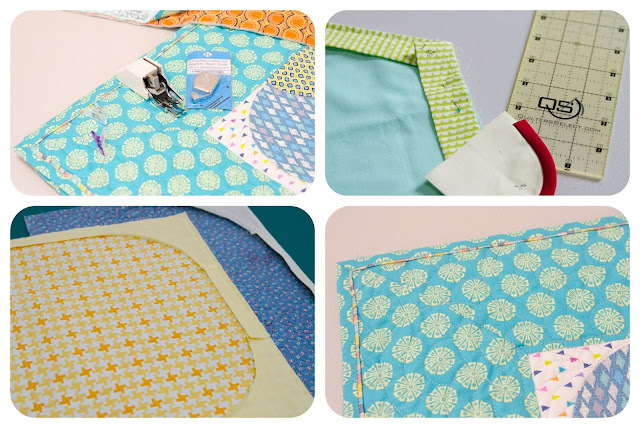 Bring anything you'd like to work on for open sewing. 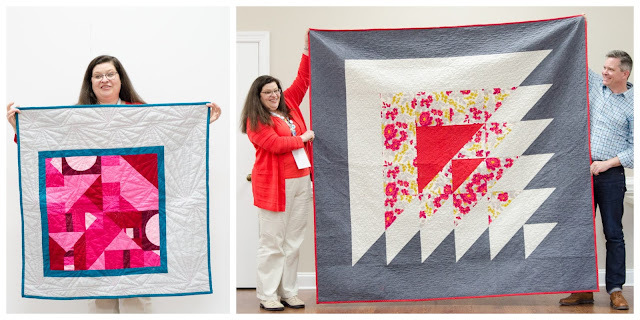 QuiltCon is this month, February 21-24 in Nashville, TN! NOTE! 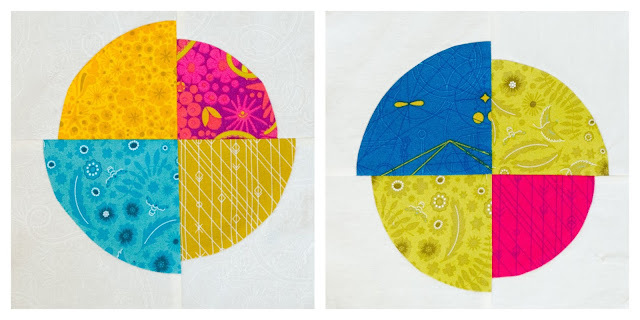 Special Greenville Modern Quilt Guild buttons have been ordered for our members to wear at QuiltCon. 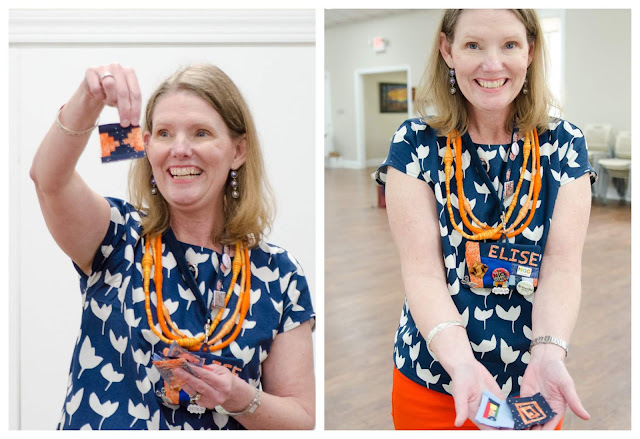 The buttons are free and Sandy Helsel will distribute them at the Thursday evening Happy Hour, sponsored by Bungalow Quilting and Yarn, that runs 6-8 pm at the Music City Center. (Check info at QuiltCon for the exact location). Sandy will be at the entrance at 6 pm or you can call her to make arrangements to pick up your button during the show. Buttons will also be available at the March meeting. There are currently 2 openings (one male and one female) for the retreat on April 25-28 at Wildacres Retreat. Contact Sandy for more information at shelsel65 at gmail dot com. 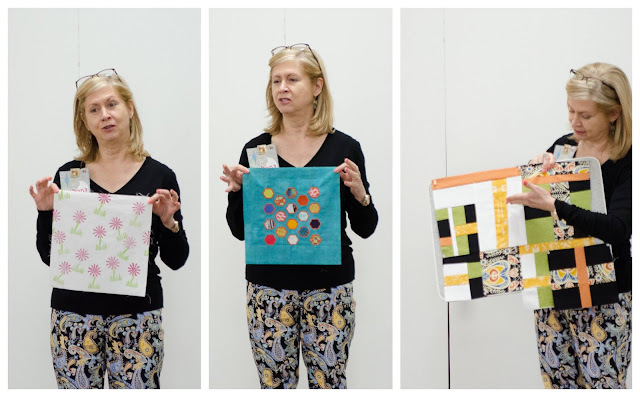 There are a few openings left for the Photography, English Paper Piecing and Small Piecing Workshops on May 31st and June 1st. The workshop price is currently $25, but goes up to $30 on February 15th. Contact Cheryl for more information or to sign up at cheryljbrickey at gmail dot com. Our members got a great start on the 2019 BOM, Licensed to Quilt, designed by Travis Seward! Here is the first block, Intersection. 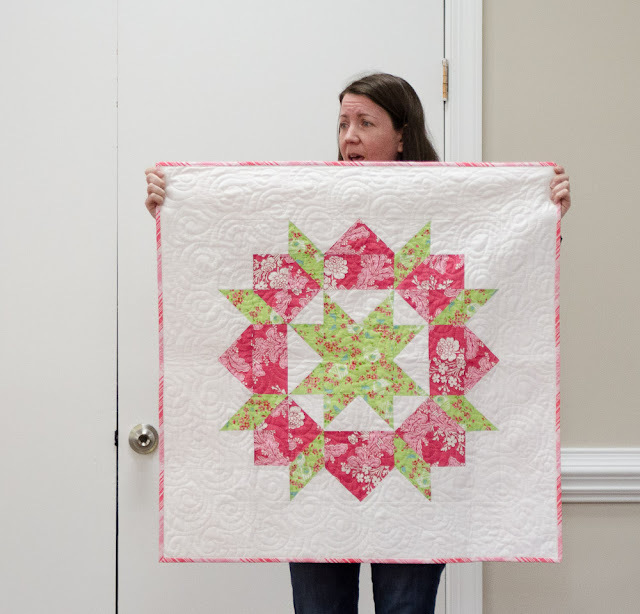 This month's block is Round About. 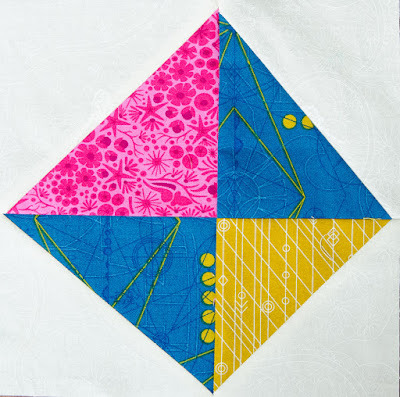 Follow the link for the pattern and find the templates here. We collected NINE quilts for our Quilts For Kids Program. Thank you!!! 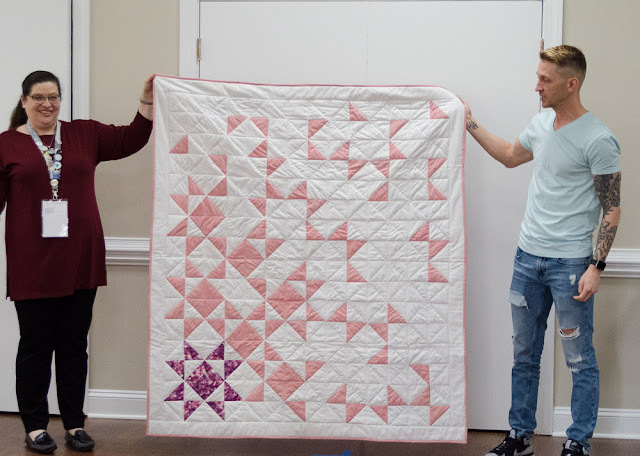 The North Carolina Quilt Project is collecting twin size and larger quilts for victims of last Fall's two hurricanes. Follow the link for drop-off information. 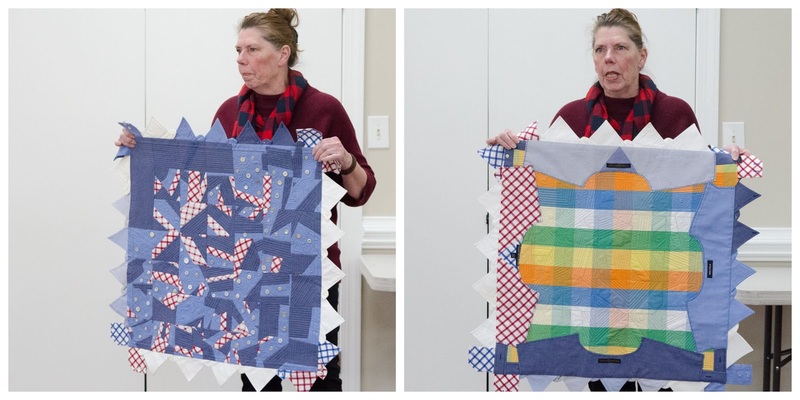 Bonnie Cunningham has also volunteered to deliver any quilt donations. If you would like to get together with other members to make quilts for the NC Quilt Project, contact Faye Jones at birdie1345 at aol dot com. 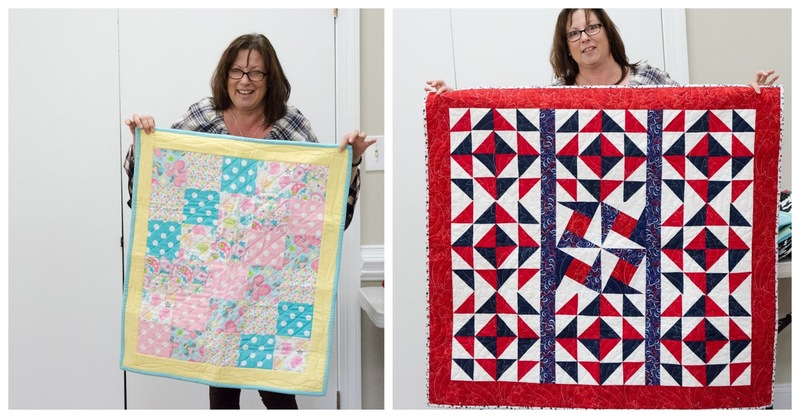 Do you have sewing items you no longer want or need? We're offering a great opportunity to share them with someone who would! 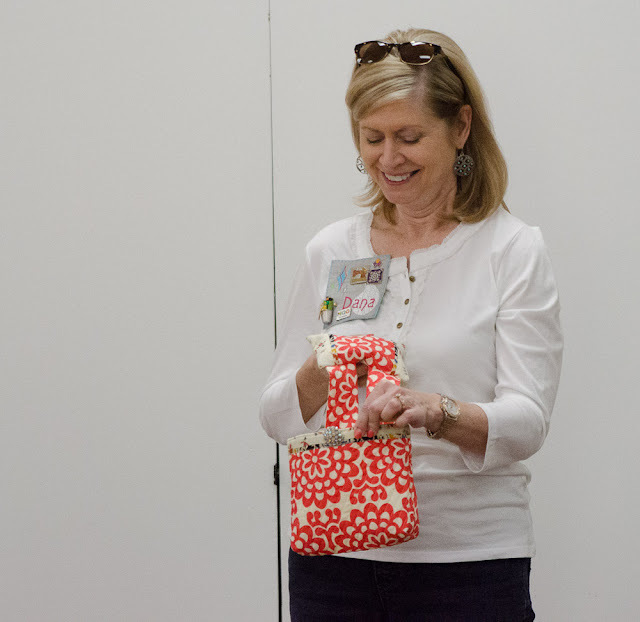 Our members enjoyed scooping up some treasures from our "freebie" table this month. 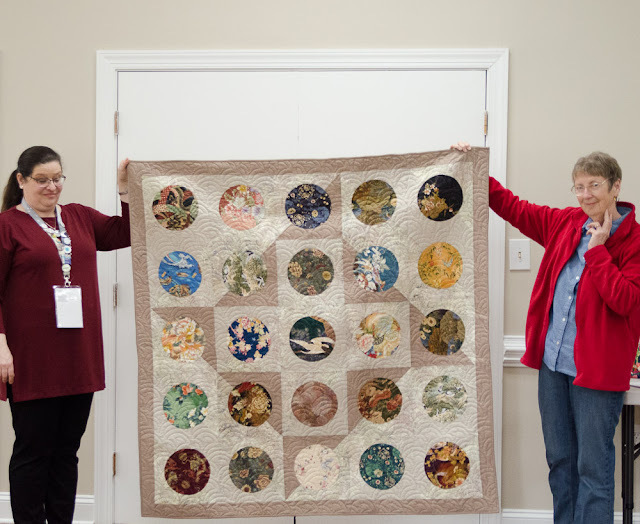 Marilyn and Darlene showed the Landrum Quilters' raffle quilt for the Quilt Show, June 13-15. 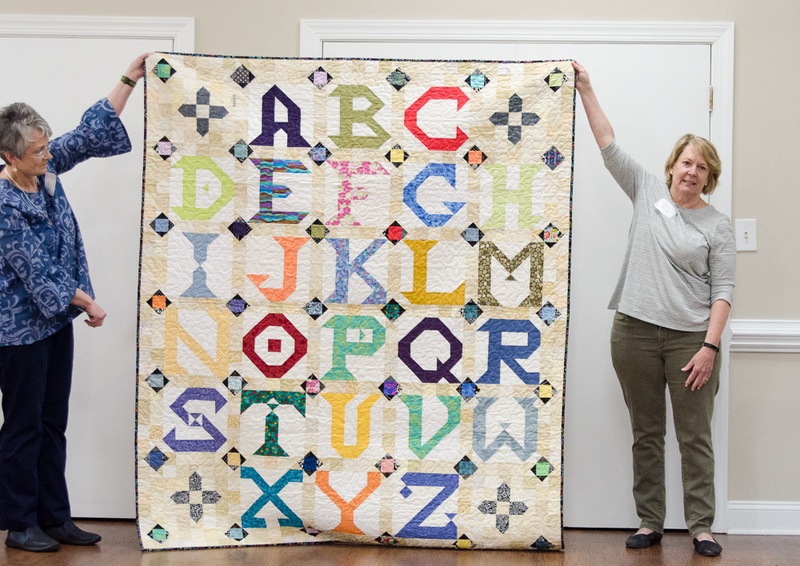 We hope to see many of you at QuiltCon this month! Our next meeting will be Saturday, March 2nd from 1-3 pm at St. Giles Church, 1021 Hudson Rd., Greenville, SC.